Cables - Custom Manufacturing & Engineering Inc.
CME produces a myriad of discrete cable assemblies for customers. Custom cable assemblies are designed to suit the customer and application, supporting low to medium volume production. CME offers overmolding, four-color ink stamping, ultrasonic welding, UV curing, epoxy sealing, cord coiling and testing support the build of custom wire harness or cable products that meet your specification. Since 2014, CME has been audited and received an ISO/TS 16949 Letter of Conformance from NSF. ​Pendant control stations for ready-to-use industrial applications, like standard or medium duty control circuits. Power, RF, and Networking Cables for Marine Corps Command and Control System (CAC2S) program. CME assembled 186 discrete parts and/or subassemblies, integrated, tested, and delivered these cables for network, communications, and power cables for the Processing Display Subsystem (PDS) for 15 AN/TSQ-273 subsystems. Low quantity, cable prototyping and production in support of unattended rugged tactical ground sensors and cables for the Army, USSOCOM, and US Navy Special Warfare. Cable Design and Tech Insertion leading to Low to Medium rate production of special cables for legacy AN/WSC-3 Navy Shipboard Radio in which CME modernized the previous supplier’s failing cable design and refreshed the units increase product reliability and sustained life cycle. For multiple industries, CME has built a variety of special cable assemblies for electrical power applications and pressure sensor/transducer applications. 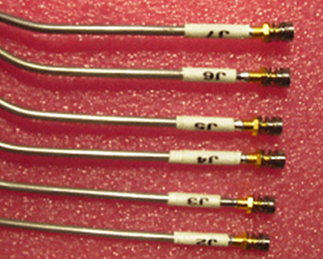 Various Pressure/Sensor Cable Assemblies for Industrial Power & Water Applications. As an authorized manufacturer for a Fortune 500 global company. 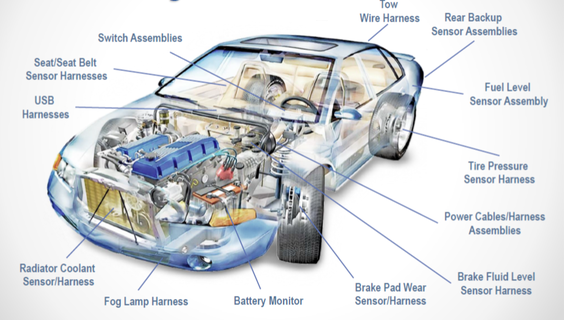 CME manufactures over 15 product lines of highly specialized pressure/sensor cables. Power and Signal Cables for Box builds were produced for Northrop Grumman Electronic Systems Melville for the shipboard AN/SYS-2 IADT rugged enclosure and hardware units. CME performed fabrication and assembly of a complete shipboard to include panels and power supplies, and cables. Cables for Ground Vehicles & Shelters. CME has designed, manufactured, and installed equipment into deployable command post integration and installation work. Cables were produced and then installed into 5T FMTV vehicles, expandable shelters, and TMSS tent structures as required. Cables for Organic CME Power Distribution products. CME developed and qualified an intelligent power entry panel for Army vehicles and shelter for load management. High Quantity Production of Cables for Power Supplies. CME manufactures the Tactical Power Supply, which includes the production of 3 rugged external cables for each TPS for connection to SINCGARS radios. CME has delivered over 20,000 of these cables to date. Integrated, Rugged MIL-SPEC cable and integrated CCA production – for TACOM Rock Island Arsenal for tactical tank training devices.